As the schadenfreude dies down, as we run out of ways to Photoshop onions, and as we hear the dying chuckles of Gillard’s laughter, we turn now to our new Prime Minister. Malcolm Turnbull, sworn in yesterday as the 29th Prime Minister of Australia, is now the confident new head of the nation. He brings with him the promise of change, which, in a government largely characterised by Abbott’s head buried in a coal deposit, is well overdue. Turnbull has also stood by the environmental stance of his predecessor. He will continue support for the China Free Trade Agreement and the emissions reduction target. The target, aiming for an approximately 30% reduction by 2030, has been widely criticised with the Climate Change Authority calling it ‘weak’. In question time on Tuesday, Turnbull announced that ‘politics will change in light of the changed conditions.’ But given that glaciers are melting faster than conservative policies are changing, the new government appears set to hide behind reactionary politics rather than pick up the gauntlet on pressing issues such as climate change action. The lack of any new direction could be due to internal pressure by the Nationals. They form a potentially damaging divide that Turnbull must smooth over to unify the party. On Tuesday, three Nationals senators showed their strength by crossing the floor to support a Greens motion for changes to competition laws knocked back by both Liberals and Labor. Two other Nationals abstained from the vote. The schism reflects growing tension between the interests of the two faces of the Coalition coin. The Liberal stance, typified by moves such as the Trans Pacific Partnership, favours ‘big business’ and free trade over the Nationals’ focus on small businesses and localised industry. However, both favour industry over conservation. Since coming to power, Turnbull has struck an agreement with the Nationals that sees responsibility for water shift from the environment portfolio to agriculture. The move gives the Nationals responsibility of projects such as the Murray Darling Basin Plan but stops short of being able to stop the controversial Shenhua Watermark Coalmine. This administrative shift may yet prove to be a serious obstacle for environmental conservation. The Liberal facelift barely hides the fact that Australian politics is a mess. 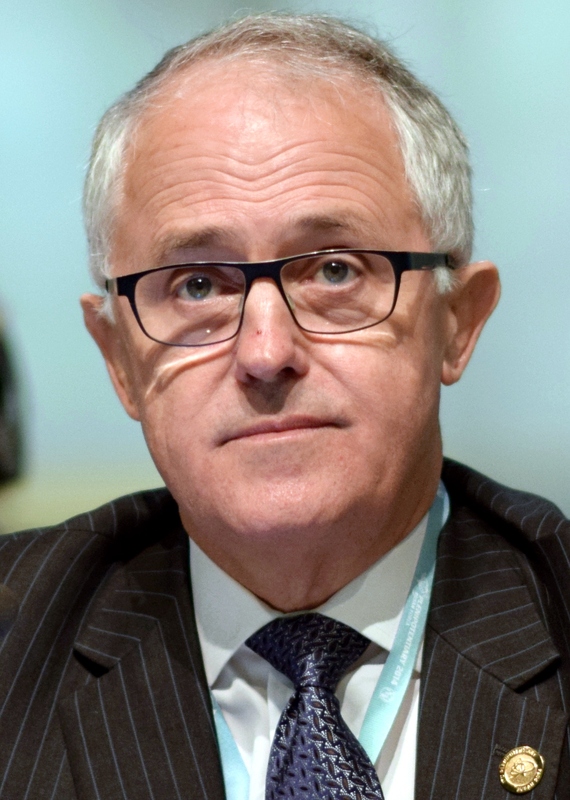 As Jeff Sparrow points out, Turnbull’s leadership ‘faces all the same problems as Abbott, except now with a divided party and a hostile media.’ Internal divides hint at a party room barely able to contain a swirling mass of ambition and vested interests. Progressive policies are tall poppies, and approval ratings are treated with the same gravitas as a federal election. It’s going to take more than smooth-talking to straighten this out. We’re now onto our fourth Prime Minister in five years. Since even our kitchen sponges have a longer shelf life than our Prime Ministers, this revolving door of leaders is a symptom of a far larger lack of clarity in Australian politics. Despite the strong words of the Abbott government, declaring war on anything that looked at him sideways, in reality it was a hodge podge of neoliberal reform and nationalist buzzwords. It’s the mark of a political class so intent on its self-preservation, on postures, stunts and sound bites, that any sense of political purpose is lost. And when the Turnbull buzz dies down, someone else will be waiting in the wings. This entry was posted in News, Politics and tagged australia, News, politics. Bookmark the permalink.